According to the Center for Disease Control (CDC), over 3,600,000 were admitted to emergency departments in 2009 for back symptoms. In the same year, over 2,200,000 were injured in auto accidents, as reflected in reports from the National Highway Traffic Safety Administration (NHTSA). A herniated disc injury is a common complaint among back symptoms, especially in auto accident victims. A disc herniation occurs when one of the discs supporting the vertebrae is torn, and the soft central portion protrudes from the outer, fibrous ring of the damaged disc. The tear may be accompanied by pain due to nerve compression or the release of inflammation-causing chemicals. This pain can be excruciating and affect other areas of the body, bringing pain, heat and irritation to the lumbar, legs and toes. A herniated disc may heal within weeks, whereas more serious cases may require surgery. If you or a loved one has suffered a back injury that was due to another persons negligence, you may be eligible for compensation. If you have a case, you may be able to recover damages for lost wages, medical bills and pain and suffering. 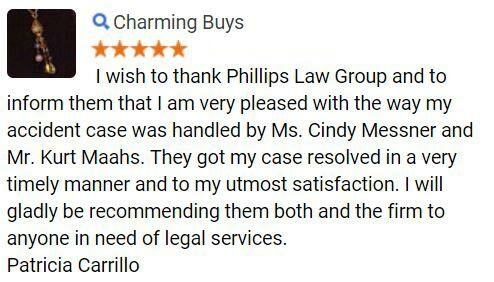 Phillips Law Group has the knowledge and experience you need on your side. 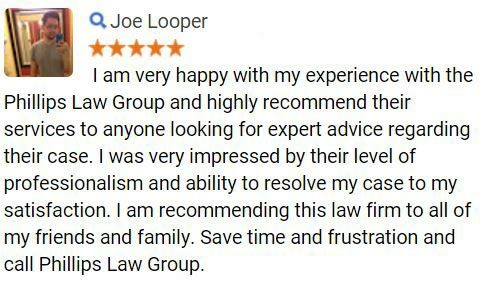 Discover how we can help you Fill out the Free Case Review form to your right to be contacted by us today. Intervertebral discs act to cushion the spine and absorb stress of movement, creating a buffer between the vital bones of the spine which would otherwise grind together. This is a reason why a disc injury can be so painful. A disc herniation is sometimes referred to as a ruptured disc, or sometimes a slipped disc (the latter is considered inaccurate by medical professionals). Unfortunately, a ruptured disc can leave a person out of work for weeks, if not longer. If you have been the victim of a defective product or someone elses negligence, you may have grounds for a lawsuit. Depending on the severity of the injury, a herniated disc may not cause any symptoms at all. In cases where the fibrocartilage is not affecting nearby nerves, the disc herniation will not cause pain. As may be imagined, this happens much less frequently than painful instances of herniation. The symptoms of a herniated disc can cause extreme discomfort and victims are encouraged to seek treatment to alleviate painful sensations. It is important to seek medical care, as a herniation in the spine may require surgery. Most cases of herniated discs are treatable by non-invasive measures or surgery. Because of the sensitive nature of the injured area, a medical professionals expertise is required to determine the appropriate course of treatment. Bed Rest a doctor may prescribe that a patient rest in bed for one to two days; excessive bed rest will not be recommended due to the possibility for muscular degeneration to occur and worsen the pain. Traction the use of special weights may be prescribed; these weights attach to the ankles and use the force of gravity to gently separate the vertebrae and relieve pressure to the damaged disc. Walking low stress movement such as walking can help to loosen tight muscles. Hydro Therapy the gravity-defying buoyancy one feels in water can be beneficial in the course of physical therapy and help to stimulate circulation. Heat Therapy a physician may recommend 15 20 minutes of warming heat every 3-4 hours to alleviate pain and soothe sore muscles. Pain Medication pain killers may be prescribed to alleviate pain during the healing process. Surgery surgery may be necessary in some cases, usually in more severe circumstances where a disc poses threat to the nervous system. Several surgery techniques have been developed to alleviate a herniated disc, some less invasive than others. Even a minor herniated disc should be given the attention of a medical professional. Do not attempt any activities before seeking treatment if you have suffered a spinal injury. Spinal trauma such as a herniated disc injury can be damaging and painful. 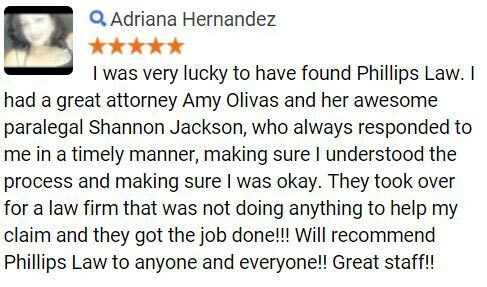 At Phillips Law Group, our auto accident lawyers understand the suffering that can be inflicted upon a family in the face of an injury. Medical bills, lost wages and psychological trauma can cause strain and stress. If you have a claim, you are eligible to pursue legal recourse for these damages. Call or text 1-800-706-3000 today to discuss the details of your case and determine if you have a claim. 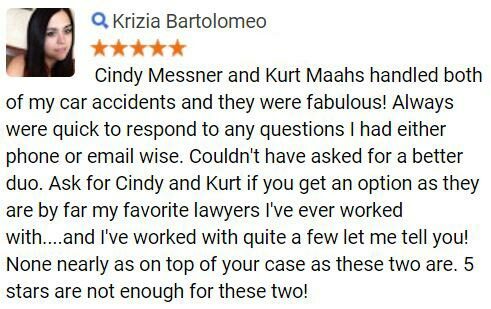 For a quicker response, fill out the Free Case Review form at the top of this page and you will hear from one of our representatives.